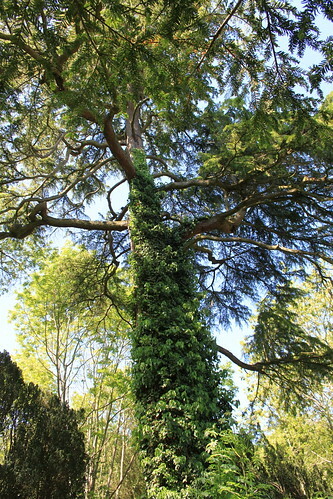 Arnos Vale cemetery is home to all kinds of flora and fauna, including some of the most magnificent trees in the city. Here are a few of the trees and flowers we’ve seen on our travels today. It’s amazing what you can find in a British woodland. 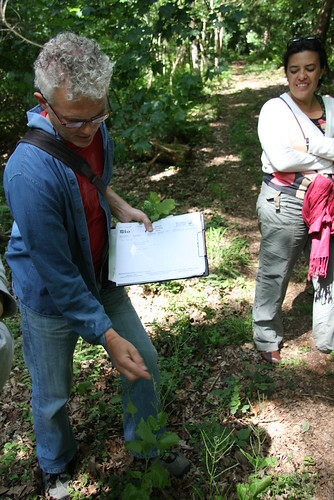 Today there have been serveral guided woodland walks, and we joined David Molesworth to suss out some of the local plants. 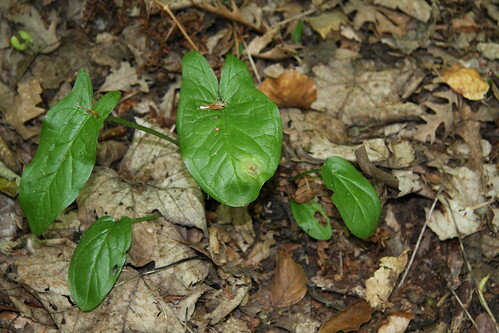 Species of interest included lords and ladies (Arum maculatum) just up the path from the base camp. 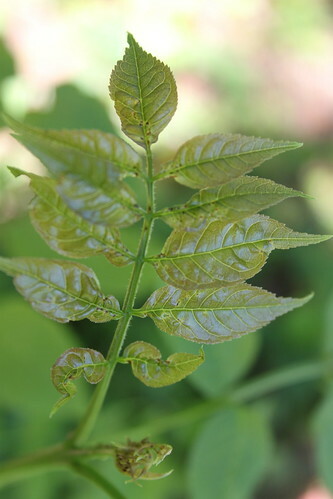 This plant has a fascinating flower which unfortunately isn’t out at the moment! Two steps up the path and we’ve stopped again. 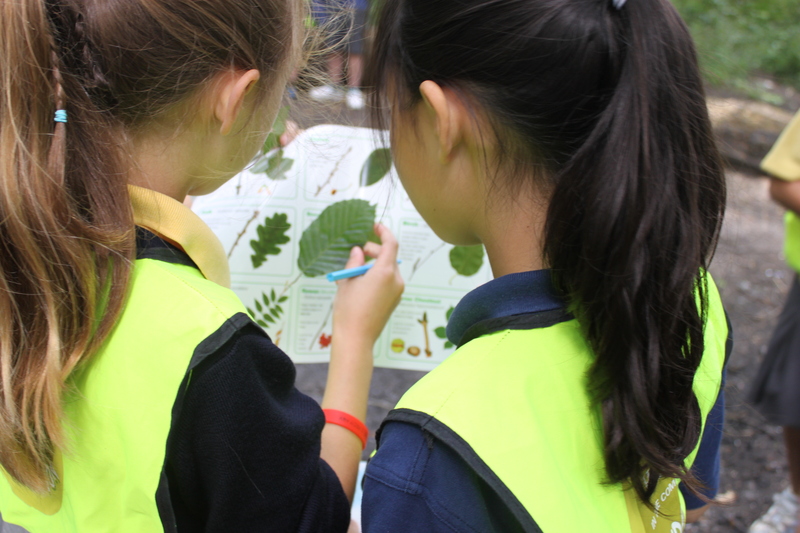 This time it’s sweet chestnut catching David’s eye. 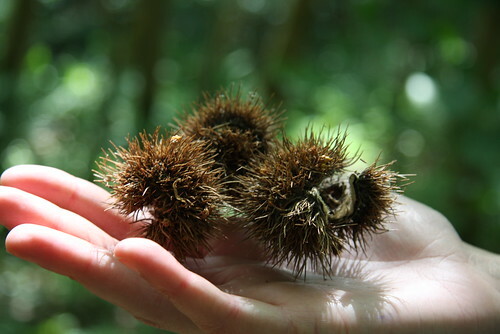 This well known tree species was introduced by the Romans 2000 years ago. We also come across a number of different moss species (brought back to the lab for proper identification), broad butler ferns, small hawthorn plants and some garlic mustard (which we find out tastes bitter!) 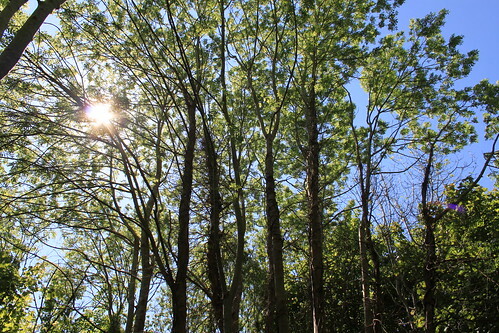 All of this and more in 10 metres of woodland. 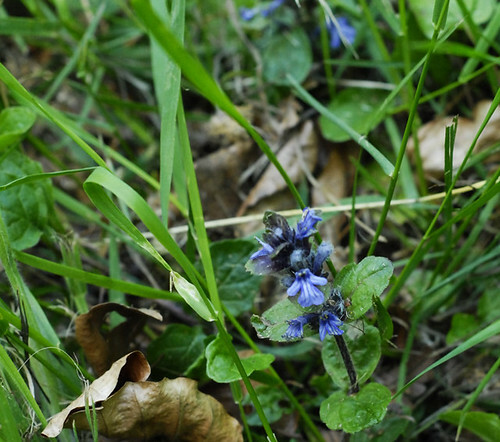 We’ve just got back from a wonderful woodland wildflower walk with some of our resident naturalists. 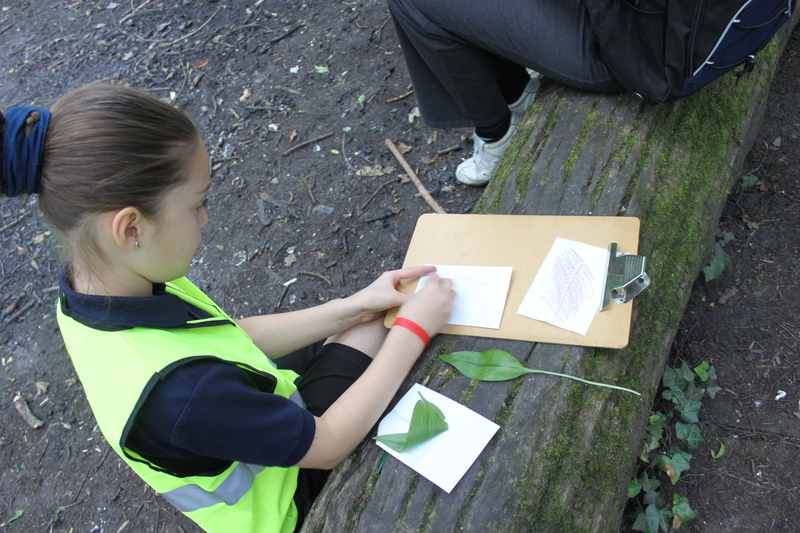 We identified loads of species of trees and plants, including coltsfoot, foxglove, geum, wild strawberry (mmm, tasty! 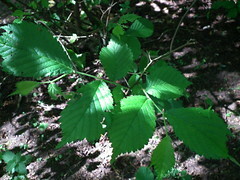 ), evergreen oak, holly, field maple, yorkshire fog, yew (one of the UK’s few native conifers, used to make longbows), yellow pimpernel, speedwell and bugle (which is in the same family as peppermint). Here are photos of a couple of our favourites. 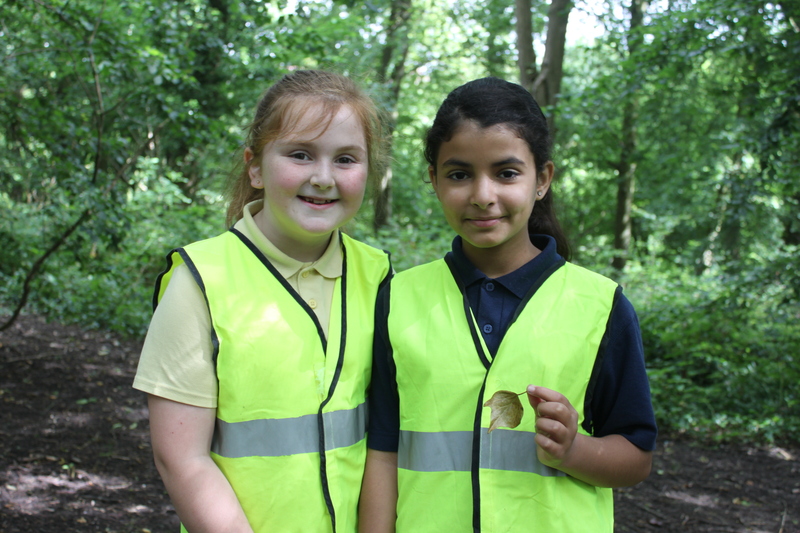 Some of the more interesting finds are perhaps some of the species that we take for granted in such public parks – the plants and trees. 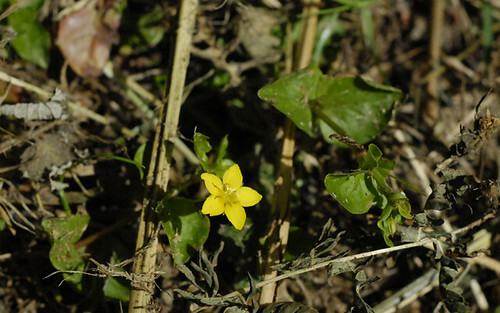 Dave Molesworth, a UK flowering plants and bryophytes enthusiast, scoured the ground with his camera earlier today and managed to perfectly capture some of the species that are most interesting to him. 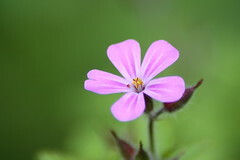 Among these plants and trees, were two native geraniums – Herb-robert (Geranium robertianum) and Cutleaved cranes bill (Geranium dissectum). 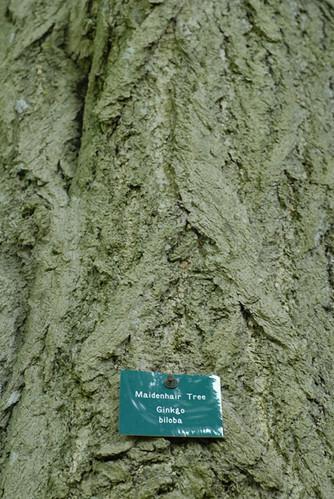 Dave also managed to photograph Wych elm (Ulmus glabra), a tree decimated by disease, but which now appears to be coming back in to the parks of Britain. 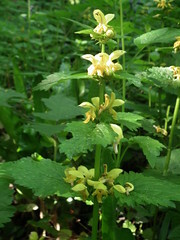 One of the more striking finds was the Yellow Archangel (Lamiastrum galeobdolon). 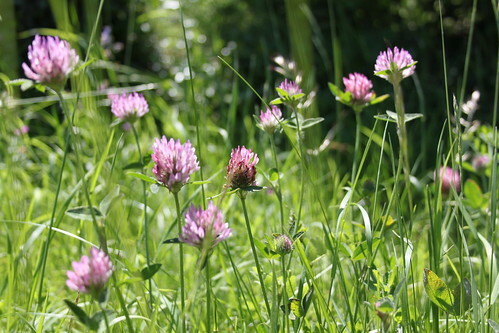 A beautiful plant, which looks extraordinary in the wonderful ground on a sunny day! 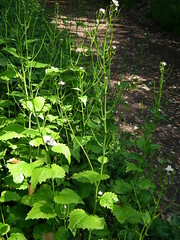 Also, Dave stumbled upon Jack-by-the-hedge (Alliaria petiolata), commonly known as Garlic mustard, thanks to it’s flavour. 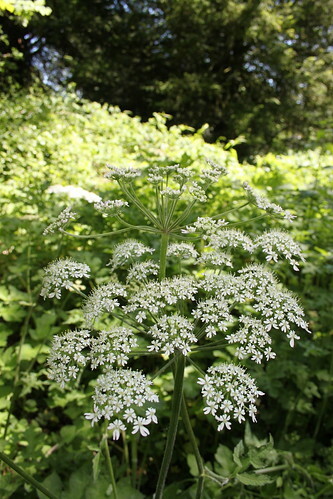 It tastes good in salads, but perhaps more intriguing is the plant’s medicinal purpose – the member of the Brassicacae family can be used to treat a variety of ailments – from a sore throat to gangrene!